It feels like Christmas in April: after working on our major update for almost a year we’re ready to show you the fruits of our labor. Kerbal Space Program is “Turbo Charged” by the release of patch 1.1! The update to Unity 5 means that the game’s performance has increased all-round, both on high end and low end machines you’ll notice the difference immediately. The game engine update also allows us to officially support 64 bit binaries for Windows and OSX, which will no doubt prove to be a huge boost to those of you who like to play with (many) mods. Aside from the engine update we’ve taken the opportunity to rework our user interface, both to increase the game’s performance and to add many new details and small tweaks to improve your experience while playing the game. We’ve also added in a number of completely new features such as the KSPedia reference guide, rewrote our tutorials, added new scenarios and included a number of new parts for you to play around with. The update is now available on the KSP Store, Steam and will soon be available on GOG and other third party resellers. As with every release this thread will be used to bundle all general discussion about the new version so that the forums can continue to actively host threads on other topics as well. CLICK HERE for the official release announcement for Kerbal Space Program 1.1. Some of the highlights of the update are listed below, but you may find plenty more improvements and new content when you play the game. The user interface has been rewritten from the ground up to take full advantage of Unity 5’s new integrated systems. The ‘parallel’ UI systems have been removed and the game now uses only one system, adding to the performance bonus the update already brings. Almost all interface elements have been redesigned and tweaked but have retained the familiar feel for experienced players. The most notable tweaks can be found in the map view, staging, IVA portraits and the right-click part menus. Players can now search through parts by typing in text greatly reducing the time needed to find that one part needed to complete the rocket. The Tracking Station will inform the player of a craft’s next maneuver node time, helping players to maintain several active flights at any one time. The Space Center overview features buttons for all the buildings, making sure you don’t miss out on any part of the space program by overlooking mission control! Additionally, more settings can now be tweaked in-game, rather than requiring you to edit configuration files. Not only tutorials have been reworked: we’ve extended the available pool of scenarios as well, increasing it by 150%! Use a spaceplane to re-enter the atmosphere and land it back on the runway at the Kerbal Space Center, return a craft without heat shield from Duna, or beat SpaceX at their own game by flying back the first stage of a rocket to the launch pad. These new scenarios will unlock these advanced topics for any player! Aside from the performance upgrades and the new features KSP 1.1 has had a big focus on fixing bugs. A record shattering number of more than 1000 issues (new and old) were fixed, including body lift on fairings, and wings exploding mid-flight after ghost collisions with parts of the Kerbal Space Center. A comprehensive list of bug fixes is included below. * KSP now runs on Unity5, a massive upgrade from Unity4. * The game UI has been completely rebuilt from the ground up on Unity's new native UI system. * All UI components and graphics have been improved or reworked to look and feel as they did before. * Removed expensive render-texture driven rendering scheme from before, expect performance increases everywhere. * The map view splines have been significantly overhauled, massively increasing performance on map view. * Map View orbit splines now fade gradually towards the trailing side to indicate orbit direction. * Completely revised MapView icons implementation for a much cleaner and faster solution that is much more expandable and robust. * Added search field in Editors. * Crew Portraits in flight scroll smoothly, allow tweaking how many are displayed at once, show extra crewmember info on hovering. * Part Temperature gauges reworked and given new graphics. * Fixed IVA atmosphere gauges to match the UI gauge. * Fix altitude tumbler saturation when under physical warp. * Fix negative funds/science, display bugs with strategies affecting costs. * Action group cluster buttons (gear, lights, sas, rcs) disable with loss of control source (probe without EC, empty pod, etc). * Landing gear button detects state of landing gear/legs during rollout (no gear or all gear up, and the light will be off). * The tooltip on the EVA button is now much more verbose if there is a problem. * Fix some bugs with building unlock abilities text. * Fix craft thumbnail saving for special characters. * Astronaut complex and editor action group part names now display the title, rather than the internal part ID. * All ModuleResource entries now print the same way, offer additional flexibility there for printing (non-default units, SI prefixes). * Auto-warp (eg, warp to point in orbit and warp to next morning) can be canceled via the GUI (warp triangles or next morning button). * Date/time formatting is now in a replaceable interface and can be customized by mods. * True anomaly is now always in radians. * Tweakables get locked along with Events. * Update community link in main menu to point directly to new forum. * Sped up cheat menu delays, and made them autohide cheat menus if held down twice as long. * Filter debug menu cheats by game mode. * Part highlighting now respects F2 (hide UI). * Enhanced ocean water surface shader in Kerbin, Eve and Laythe, greatly reduces visible tiling, and looks much more watery. * Most parts have been upgraded to use Unity5's new PBR lighting model for more subtle, nuanced lighting. * Editor interior lighting was redone for all interior scenes, using Unity's new lightmapping engine. * Improved underwater FX tinting/fogging system. * Moved underwater tinting into the atmosphere shader. * Improved atmospheric halo/corona at low altitude thanks to blackrack/SkyToneMapper. * Added Interior Overlay View mode, draws the interior spaces of a vessel on top of the normal external view. * All IVA spaces revised and improved to look good in IVA Overlay mode. * Masking geometry added to IVA spaces so they aren't visible from nonsensible angles or show backface geometry. * Fixed incorrect sun light direction in IVA space. * Added new IVA model for the Mk2 inline cockpit. * Completely overhauled wheels, landing gears and landing legs with a new from-scratch modular implementation. * Bespoke wheels physics, largely replaces PhysX's stock vehicle physics model. * Greatly improved tire friction model and general handling. * Wheel damage module/model which does not require damage meshes to work. All wheels (including landing gear) can now be damaged from overstress. * Steering model features true Ackermann steering. * Steering model is much smarter in relation to wheel placement on the vessel, requiring much less tinkering to line up steering on multiple wheels. * Wheel Motor module drains resources in proportion to torque output, as opposed to the old fixed EC drain when driving. * Wheel Motor module features automatic, tweakable, overrideable traction control. * Wheel friction is also tweakable. * Suspensions are smart and self-adaptive, tuning themselves to always be smooth and springy independently of vessel mass and weight distribution. * New Extra-Large 6-wheeled landing gear. * Fix Unity bug that prevents us from ignoring collisions between wheel colliders and parts on the same vessel by disabling wheels that are within a certain range of other parts on a vessel. Where this sphere is and how large it is are configurable in the settings file. * Add clipping/blocking indicator to wheels. * Added ability to toggle wheel suspension. * Balanced spring, damper, and damage ratios for all gears, wheels, and legs. * Use suspension displacement for true wheel load, rather than contact depth. * Differentiate impact and deflection stress in wheel damage modules. * Re-exported all wheels with proper collision layers that ignore their own housing colliders, and other wheels. * Destroy wheels when not in use, recreate when necessary. * Clip tips of landing legs when wheel colliders exist, to prevent them from hitting before the collider and blowing up the part. * Added identifier to wheels, now that legs, gears, and wheels are all the same module. * Fixed Unity 5 upgrade making our landing legs tiny. * Reset wheel caliper when steering goes inoperative. * Fix ground detection issues with wheels. * Doubled bogey range of landing leg feat, to get them to properly line up with the ground. * Added game event when wheels are repaired. * Made wheel grounded state, and type persistent, so contracts could access landed states. * Allow deployment standin colliders to work with our new collision manager. * All tutorials have either been updated for 1.1 or completely rewritten, and some new ones have been added. The flight and editor tutorials have been replaced by six new tutorials. -Basic Construction/Getting Started covers the KSC itself and simple vessel construction. -Basic Flight covers launching that vehicle on a simple flight. 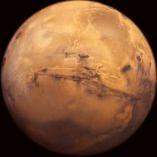 -Intermediate Construction covers building a suborbital craft and adding science instruments, fuel, etc. -Suborbital Flight covers flying that vessel, using science parts, and reentry. -Advanced Construction covers building an orbit-capable craft, including tweakables, solar panels, batteries, multiple stages, different engine types, etc. -Go For Orbit covers flying that craft to orbit (gravity turns, circularization, etc). -Orbit 101 and Science Basics have been fixed to use 1.1-correct code and information. - taking off from the Mun and returning to Kerbin (and how to EVA on another world). - Docking and the two asteroid tutorials have been fixed to use 1.1-correct code and information. - Disable saving and loading in tutorials. - Can blacklist scenarios/tutorials from showing up by editing a public static list of filenames. - Add a direction target and a position target for use in tuts and elsewhere. - Fix an issue where the player could create saves that overwrite tutorials and scenarios. * Added several new scenarios and upgraded the old ones. - Land the Dynawing on the runway. 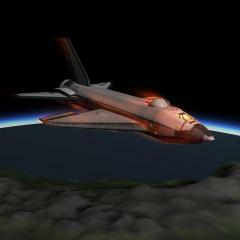 - Experience a fiery re-entry with the Dynawing from Kerbin orbit. - Beat SpaceX at their own game by landing a flyback booster at the KSC, boat not included. - Return from Duna in a very basic vessel (no heat shield!). - Traverse the Mun with the Crater Crawler roving base. - Enjoy the low gravity delights of Gilly. - Aerobrake at Jool, then explore the Jool system. - Look for ore on Eeloo. - Top up your tanks at Minmus. - Fly the new Aeris4A from Space Station 1. * A new UI which features all-new content explaining every aspect of the game in depth. * Symmetry partner action groups now propagate when removing/replacing parts in the editor. * Symmetric partners no longer get "lost" during build. * Offset and rotation gizmos now work properly for radial symmetry forks. * Fix improper symmetry propagation when building singular wings, then mirror attaching in SPH. * Fix node/stack attach in editor to connect proper nodes (especially with thin parts and cargo bays). * Editor now displays preference for surface attach first, then node/stack attach. * Multiple changes for re-root tool. New text message and ability to re-root arbitrary part branches (merged, subassembly, and branches in stand-by). * Editor now selects proper root for merged craft that have been re-rooted. * Fix offset gizmo when using on parts attached to hollow parts such as cargo bays, service bays, and structural fuselages. * Offset gizmo now allows slightly larger offset distance when holding Shift. * WASDQE no longer corrupts rotations when using the offset tool. * Parts rotated with rotate gizmo now properly maintain rotation when removed or copied. * Make editor gizmo input locks matter. * Make a public property for which action group is selected in the editor. * Fixed a part highlighting issue when moving the mouse from child to parent part. * Fixed an issue when copying ghosted parts and attaching them to the main ship. * Engineer Report recognizes new wheels. * Fixed part action group editor highlights disappearing at odd times. * Touched up the colors of all icons and orbits in map view. * Warp To Next Day now functions in every scene, including the tracking station, and deals properly with inclination. * Contract waypoints revised to run on Unity 5 canvases, and generally look more consistent with the other icons on the map. * Saved vessels with maneuver nodes set in the future will now alternate between displaying their MET and the time until their next maneuver node in the tracking station. * Fixed coordinate display to properly wrap around east/west. * Split map control lock into two different ones (MAP_UI and MAP_TOGGLE). * Maneuver nodes can be placed on nearly any orbit patch. * Targeting information is now available when on an escaping trajectory. * Encounter information now accurately portrays the target's position at time of intercept when the target is on a flyby: the position markers will be in the correct SoI. * Point at which celestial bodies' meshes are disabled is now tunable in plugins. * Orbit line fading can be controlled in Settings. * Conic patches when leaving an SoI are now correct. * Many drunken relative mode patches fixed. * Moving a maneuver node that has been set to a future orbit no longer loses track of the setting. * "Warp to here" and maneuver node placement work on all patches prior to the first maneuver node, not just the patch on which the manuever node has been placed. * Fix a bug where entering an SoI with an existing manuever node would not allow the above anyway. * Contract types are now weighted, this means as you accept a contract type, it will become more common over time, and appear more often in mission control. As you decline them, they will become less common. * Satellite contracts no longer utilize waypoints to display node information. They use a regular orbit renderer, and animate the spline to show the direction of the orbit. * Flybys for tourism contracts and flyby milestones now trigger properly on unfocused vessels. * Science milestones and contracts now respond to lab and orbital surveyor transmissions. * Contextual contracts that ask you to add an amount of something to a vessel now display the current amount that the vessel has. * MiniISRU now counts as ISRU for contract requests. * Station contracts no longer consider asteroids a vessel is docked to when deciding if it is "new". * Contextual contracts no longer generate on active vessels. * Manned vessels with no crew and unmanned vessels with no power do not generate contextual surveys. * Part test parts are now also highlighted in the technology tree. * The mobile base contract objective now actually checks if the base is sitting on motorized wheels. * Fix some contextual contracts mis-identifying certain vessels. * Add part test subject for new inflatable heat shield. * Hide failure penalties on contracts that cannot be failed. * Fix survey contracts displaying waypoints for cancelled contracts. * Contracts recognize new wheels modules. * Slightly reworded focused and contextual survey briefings for grammar and readability. * Fix crew sensitive game progression not being applied in some cheats. * Use absolute path for Physics.cfg, fixes some path-related bugs. * Fix a bug with drag cubes and skinned mesh renderers. * Resources take heat with them on transfer. * Disable Aero FX when thermo debug colors is enabled. * Support (correctly) making occlusion change convective coefficient not temperature. * Fix sun-based temperature curves to properly deal with tilt (basing it off true anomaly) and vary with latitude. * Make Eve's upper atmosphere slightly gentler. * Tune engine exhaust heating. * Rework blackbody glow slightly for more flexibility and less obvious glow. * Speed up buoyancy calculations. * Fix an issue with moment of inertia calculations thanks to the kOS and RemoteTech teams. * Splashed vessels touching or with kerbals standing on them no longer warp to the ocean floor when loading. * Debris that gets automatically cleaned up in the space center will now attempt to recover for funds, science, reputation, and crew. Free launch clamps! * Extended range for switching vessels in-flight. * Fix an issue with vessel destruction and vessel markers. * Vessels within physics range of active vessel are no longer deleted during quickload. * Fix for kerbals entering zombie state when crashing and/or ragdolling in external command seat. * Refactor asteroid spawning to remove duplicate code, fire events. * A vessel's root part overhanging the edge of the launchpad no longer causes the vessel to be forced into the pad. * The root part's cached transform is now set correctly, fixing some issues with loading vessels. * Vessel spawn dialog automatically selects "Auto-Saved Ship" when brought up. * Vessel spawn dialog automatically tries to put a pilot in the first seat of a vessel. * Fix vessel spawn dialog not properly sorting in some instances. * Add Vessel.LandedInKSC in a centralized location. * Integrated the Probodobodyne HECS2, Communotron HG-55, and OX-STAT-XL Photovoltaic Panels from the Asteroid Day official addon. * Part search has been integrated with a new part tagging feature that lets part configuration files be tagged with arbitrary meta data. * Every part in the game tagged with arbitrary meta data, to make them more easily searchable. * Parts are autotagged with certain tags based on their physical characteristics, so even new parts and untagged modded parts are searchable to some extent. * Launch clamps now use raycasts instead of collisions to determine where they are landed. * Added toggle option action group for fuel cells. * Move radial drogue parachute to Survivability, with the first heat shield. * Tweak heat and aero stress resistance of drogue parachutes. * Added flight control authority tweak (which also allows inverted control). * Antenna now retain their state after transmitting (i.e. extended antenna stay extended). * Fix a bug in parachutes that will not go from active to deployed if below deploy alt if they were not at semi-deploy pressure. * Fix for guiActiveUncommanded being ignored when building part action windows. * Airbrakes now properly retain their deployed state when rolling out or quickloading. * Added callback support when changing a button on a part action window. * Fix issue with the Twin Boar not providing roll control. * Add warning to non-retractable solar panel descriptions that they can't. * Fix bug with rescaleFactor of not 1.0 and MODEL nodes. * IPartMassModifier now affects part mass as well as display. PartModules should not set mass directly. * Added an inflatable heat shield. This combines excellent aerobraking with a reasonable level of thermal tolerance (though it is not ablative). * Reaction Wheels can be set to respond to input from SAS Only, Pilot Only, or both. * Added keybinding for part searching in the editor. * Add ten part search algorithms, controlled by prefixing each tag with a symbol. * Enable the EVA button on parts with noAutoEVA if they are single part vessels, like recovery craft. * attachRules now have an 8th flag: allowRoot (defaults to 1). If it is 0, the part can neither be the first part placed, nor become the root part using the reroot tool. * Save/Load (and KSPField) support for VesselModules. * Fix issues with ModuleRCS where some fields weren't hooked up right. * Added staging toggle support to all our stageable modules. * Support different portions of thrust per transform in ModuleEngines. * Force a dragcube update when ModuleJettison jettisons. * Correct typo in ModuleAnimateGeneric field names. * Allow ModuleAblator to create a resource as it consumes the ablator (i.e. cracked ablator). * Fix an issue with ModuleLight and symmetry. * Default engines to working while shielded. * Control surface actuation speed lerps now, like other speeds, instead of being displaced by a constant delta. * Fix an issue with engines not properly saving throttle. * Fix issue with engines disabling when below "sea level" on bodies with no ocean. * Docking ports no longer become unusable if saved when acquiring, and automatically recover when loading from old saves. * The grapple is more robust when grabbing the active vessel. * Added an option to ModuleAnimateGeneric that allows animations to be disabled after a single execution in flight mode. * You can now customize the menu name shown for ModuleDecouple. * You can now customize the menu name for jettisoning a fairing. * Fixed an issue in ModuleReactionWheel where EC was being drained when input was being received from the player even if SAS was off. * Both deployable and non-deployable radiators have an option to activate/deactivate cooling (and corresponding EC consumption). * Fixed a regression where static radiators were not respecting their parent/sibling cooling limitations. * Gimbal reworked. Supports explicit +/-X, +/-Y ranges. Can enable/disable pitch, yaw, roll activation. Fix gimbal not working when an engine is activated rather than staged. Fix gimbal to use gimbal transform not part origin when computing inversing inputs. * RCS and Gimbals can now have actuation toggled per axis. * Engines and RCS now support thrust curves (based on percentage of propellant remaining). * Fixed an issue with exhaust heating and non-full-physics parts. * Fixed target speed running away when grappling onto a targeted vessel. * Fixed easting coordinates not wrapping properly for ISRU instruments. * Changed the method for deploying control surfaces. Mirror attached parts deploy mirrored, Radial attached parts deploy radially. * Flight control deployment direction is no longer dependent on CoM, so they will not flip or jitter in-flight. * Fixed a bug in FXAnimateThrottle and multiple animator components. * Alternators default to not showing their resource bars, instead showing effective output rate. * Fix bug when attempting to transmit more science while antenna animation is playing. * Fix bug when attempting science experiment in incorrect locations causing the "run experiment" option to disappear. * Fix bug with "Transmit Science" option disappearing when transmission aborts. * UI_FloatEdit, UI_ScaleEdit and UI_ChooseOption field attributes (tweakables) added. * All field UI controls now have an optional callback and can be made to not fire GameEvents.onEditorVesselModified event. * Vessels can now utilize multiple labs at once. * Labs no longer duplicate science data. * Labs with science can now be recovered for science. * Lab button on experiment results dialog always shows if a lab is present, but greys out when it cannot be used. * When a lab cannot be used, a very specific reason is shown in the lab button's tooltip. * Fixed a few lab errors that were displaying despite actions being successful. * Clamshell fairings, fixed fairing bugs. Thanks to xEvilReeperx for inspiration! * Fix fairing center of lift placement. * Fix interstage fairings not connecting/closing nearby overlapping parts. * Fix interstage "cannot activate while stowed" issue when decoupling with intact fairing. * Fix fairing not wanting to close in the editor if the wall ever detected a collision. * Increased fairing transparency in editor when fairing is in standby. * Fix editor lockup when copying an interstage fairing. * Fairings now use two collider systems. * Fairing connection node can now be specified in the .cfg file. * Fixed a bug where resource data was unavailable in the Tracking Center. * Converted the Narrow Band Scanner to a Unity 5 UI. * Drills should be less prone to shutdown due to physics hops. * Fixed a drag cube issue with deployable drills that caused them to always be treated as if they were in their extended state. * Fixed an issue where, upon load, radiators would be extremely hot due to core heat. * Fixed a bug where resource data would be persisted when saves were changed without re-loading the game. * Drills now respect InfiniteElectricity and InfinitePropellant cheats. Note that for resource converters, toggling infinitePropellant removes ALL input requirements. This is to better facilitate modder testing. * Resources now have a volume field (in liters) that can be used by modders where volume calculations are required vs. mass. * ModuleResourceConverter can now be configured to take inputs in mass (metric tons) vs. units. * Condense infinite resource cheats into Infinite Propellant and Infinite Electricity. * Drill action group names now consistent with right-click options. * Added new Save Upgrading system, automatically upgrades save data from previous version formats into 1.1 and beyond. * Comments can now be directly injected into the debug log. * KSP's logging now intercepts log calls from child threads as well. In addition, the log now includes basic information about what mod DLLs are loaded and what folders/files exist in the root of GameData. * Cached the components of most animated kerbals, like EVA kerbals or the space center ground crew, much more efficient implementation. * Many, many performance optimizations. Some thermal things are now cached in part or precalculated, gauges refactored, slight PQS improvement. * ITorqueProvider interface to identify modules that create torque. * Events for part resource flow state, amount state change. * Add events for going to/from, saving/loading protovessel/crew/part/progressnode. * Science experiments can have optional cooldown timers. They can be set to not work when shielded. * Facility upgrades have more fields and methods exposed for modding. * Fix an issue with ConfigNode.ParseVector2 not returning one. * Fix so that all GameParameters are respected. * Fix an issue with parsing ulong enums. * Add a debug override to enable quicksaving even when not clear to save. * Fix a bug with events that remove themselves (was killing docking and other things). * Add event when vessel reference transform changes. * Add type-based contains and get to PartModuleList. * Fix light dimming/brightening rates to use proper .cfg values. * Warp-to-morning fixed for inclined launch sites. Now warps to a specified time of day regardless of inclination/tilt. * Fix mysterious bright spots on the terrain with certain vessels. * Crawlerway and SPH now properly report their names when being crashed into. * Quick-loading via alt-F9 a save made in the space center now returns to the space center if the save is not too ancient (pre 0.24). * Fix issue with certain airlock hatches not properly detecting obstructions. * Fix an issue with settings.cfg not properly importing or updating from previous installs. * Fix instances where kerbals could sometimes not plant flags after bounding on low-g worlds. * Allow crew respawn time to be configured globally and per part the crew dies in. * Fix a serious issue with PPFX not properly disabling thanks to Agathorn. * Added a rolling list of save backups for auto saves and quick saves. Defaults to five backups. * Cached component calls in many areas of the game. * Made onCollisionEnhancerHit an actual game event. * Added Mouse.HoveredPart, and utilized it in many scenes to have a more consistent way to select parts without doing lots of performance intensive raycasts. * Added utility to CameraManager to grab the current relevant camera regardless of mode and scene. 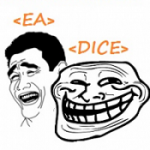 * Add HighLogic.CurrentGame.CurrenciesAvailable, which flags when all currency scenarios for the current mode are up. * Max Experience cheat recognizes new UI elements. * Slight optimizations to KerbalRoster. * Added ability to cancel build of compound parts (struts and fuel lines) using Delete. * Fixed "open/close" right-click actions for SciJr while on EVA. * Added ability to open and close SciJr doors from the ship (to control thermal issues during reentry). * Fixed issue with splashed vessels being deleted when entering physics range when using NBS. * Fixed NaNs on hyperbolic solar trajectories. From the KSC overview, when you enter a building you get the music as if you are in there but it stays on the KSC overview screen but when moving the mouse around and happen to hover over where an R&D node would be for example it lets you click it even though u cant see what you are clicking.. Is this just me? Not released in the US just yet, still releasing in Europe. Hee he, I got the last post on the hype train. Also, SQUAD, did you finally remove Herobrine? Great work Squad and thanks to all those who tested the pre-release. Lol, I got done playing from the depths, and I see steam downloading something, so i take a look and its KSP! And im like "welp, know what that is! ITS 1.1!!!!!" Can't wait for the KSP store to crash. Just gotta watch it like a hawk and DL it ASAP before the server gets overloaded. Is 64 bit the default or do I have to change a setting (on Mac)? Copy that into launch options and launch KSP. It should have a 64-bit option. I think @sal_vager is really happy. He has just liked every ones posts! Go out there and play KSP guys! You keep 1.1 off our hands a whole year... well ALMOST a year. Cant you just wait until april 23??? Then we could at least celebrate without-a-patch-anniversary. Now we cant, why SQUAD, why??? Again on the same rake, i'm disappointed. Hope you will try better on the way to 1.2. My PC is in bits, being used as a component burn-out rig (testing old components to sell)! I have a graphics card in four bits on my desk! Y u do this! In all seriousness, well done SQUAD on the long development cycle and the rapid work you've been doing. The prerelease was still pretty messy and you had a lot on your plate for the short time between 1.1P and 1.1. Hope you all sit down for a good rest and a drink-induced stupor. I think that is for Steam, what about for store? You can go to the KSP folder and use the KSP_64.exe to launch 64bit.